This is the ultimate beachfront, luxury apartment, dead center on Cabarete Beach and one of the two or three best units on Cabarete Beach. 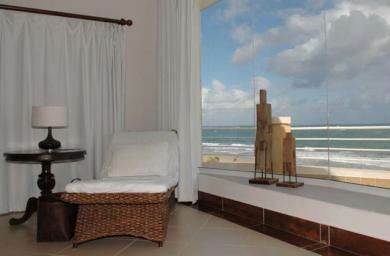 Totally high-end, designer furnished, with expansive views of the beach and ocean from every room. The massive terrace can be accessed from all bedrooms as well as living areas and has both covered and open air areas for quiet relaxation or sunbathing. Includes carriage house double studio above a two car garage, which can be rented separately from the main apartment.